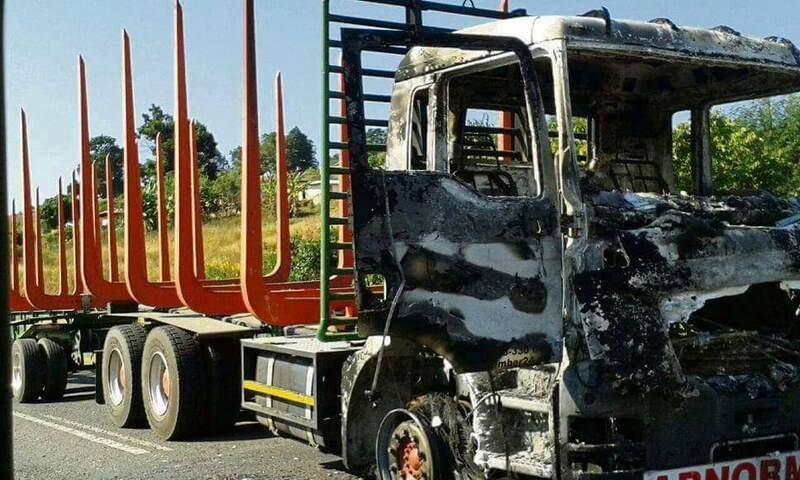 THE lifeblood of the Kranskop and Greytown farming community, the R74, has come under siege allegedly by locals who are stopping and burning farmers’ trucks. 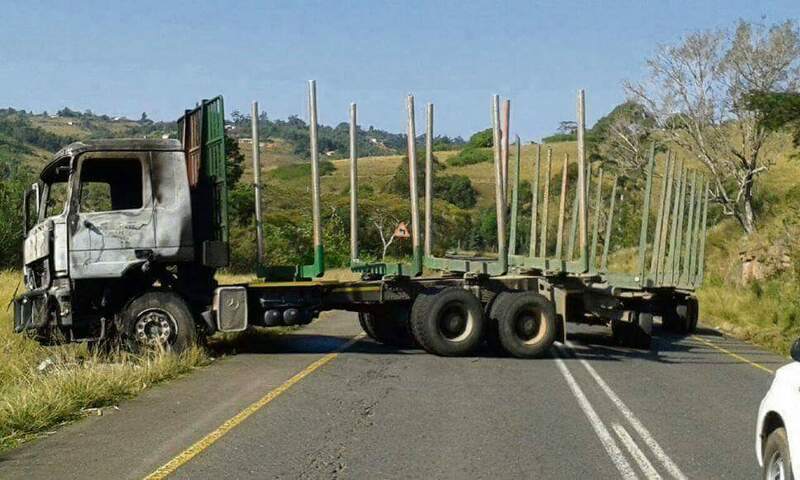 A Kranskop farmer, who asked not to be named, said a truck transporting his farm’s timber as well as two other trucks were stopped during the course of Tuesday morning and Tuesday night and set alight. The farmer said the trucks had been travelling along the R74 to take products to market when the road was blocked off, allegedly by locals. The drivers, fearing for their lives, ran away while the locals set the trucks on fire, destroying the vehicles and damaging the timber. Kranskop Farming Association chairperson Rolf Konigkramer said the blocking of the R74 and burning of trucks was a huge concern for the farmers as 90% of farmers in the Kranskop area needed the road to transport their products. “As soon as the road is blocked or it becomes unsafe for road users, everything comes to a standstill and this has a huge affect on the farming community,” he said. Konigkramer said although he did not know the motive behind the burning of the trucks, he knew the people were not obstructing the trucks to steal. “Nothing was taken off the timber trucks,” he said. Head of the KwaZulu-Natal Agricultural Union (Kwanalu) security desk Koos Marais urged police to conduct full-time patrols on the major route. “No one has the right to close down roads or damage property and I hope this is fully investigated,” he said. KZN police spokesperson Captain Nqobile Gwala said the people blockading the R74 were protesters. She said they blockaded the road with trees and burning tyres, but one truck was set alight. No injuries were reported. Gwala said no arrests had been made, however, police have been deployed to monitor the situation.